Our award celebration took place this week to mark a tremendous 278 years of service from our people. In 2019, 27 employees hit a landmark of either 5, 10, 15 or 20 years of service and between them they’ve reached an astonishing 278 years. Showing our appreciation to our employees’ dedication is essential for us here at Parseq. Now in its third year running, the Long Service Awards is certainly proving a treasurable event for all. 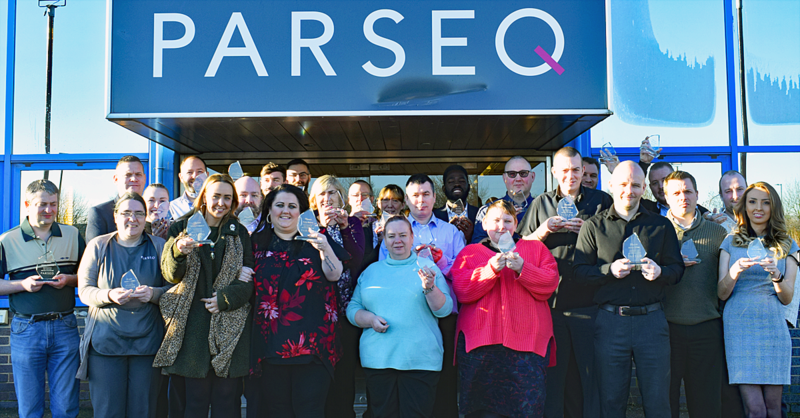 Craig Naylor-Smith, managing director, said: “Bringing our people together to reflect on their Parseq journey is a brilliant way to say a big thank you. Everyone at the event was gifted with a personalised trophy and voucher as a marker of their milestones. Over our last three Long Service Awards, the total amount of service from our people is a significant 1,201 years. Thank you to all of our long serving employees. You’re all a huge credit to the Parseq team.